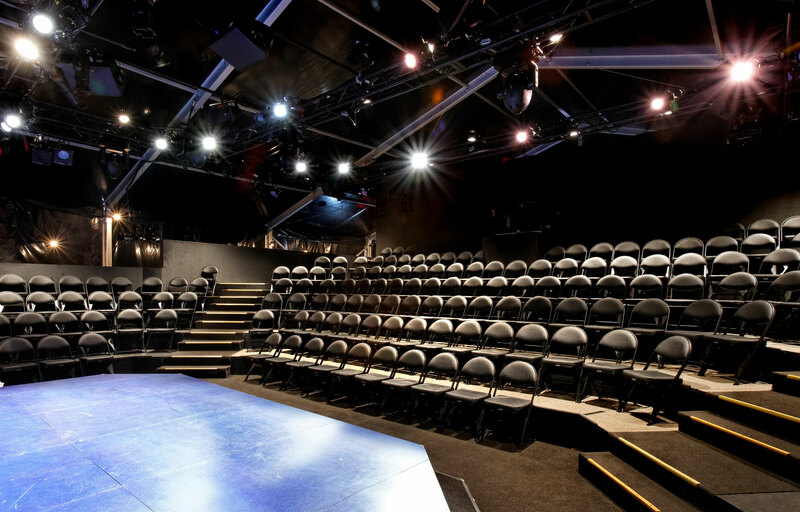 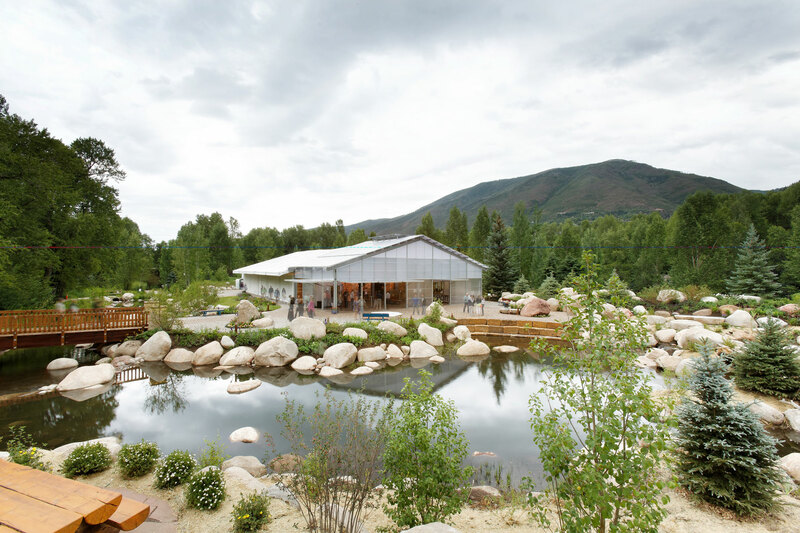 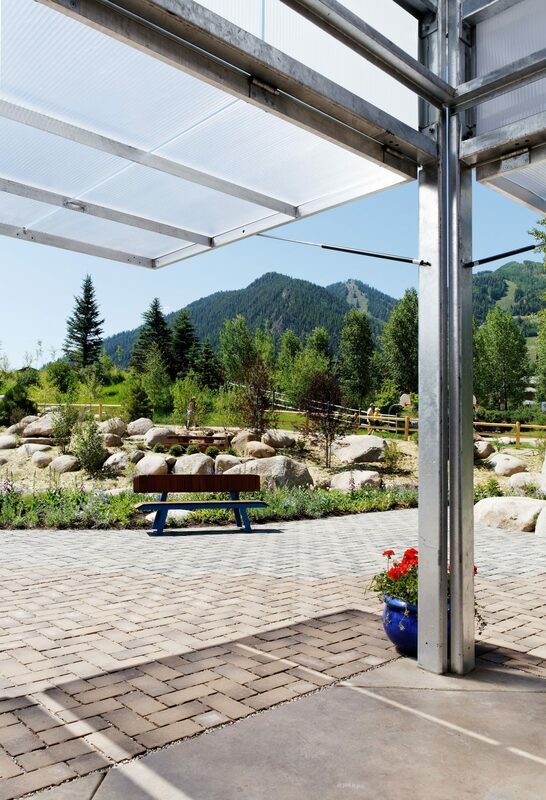 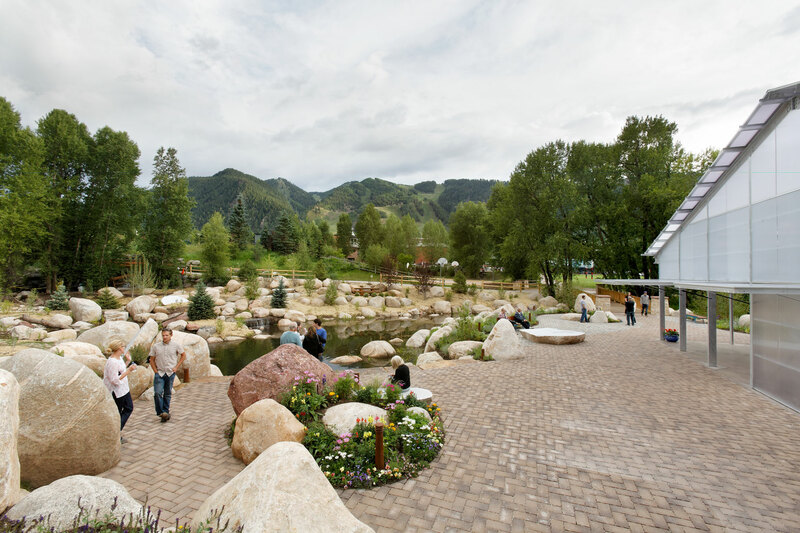 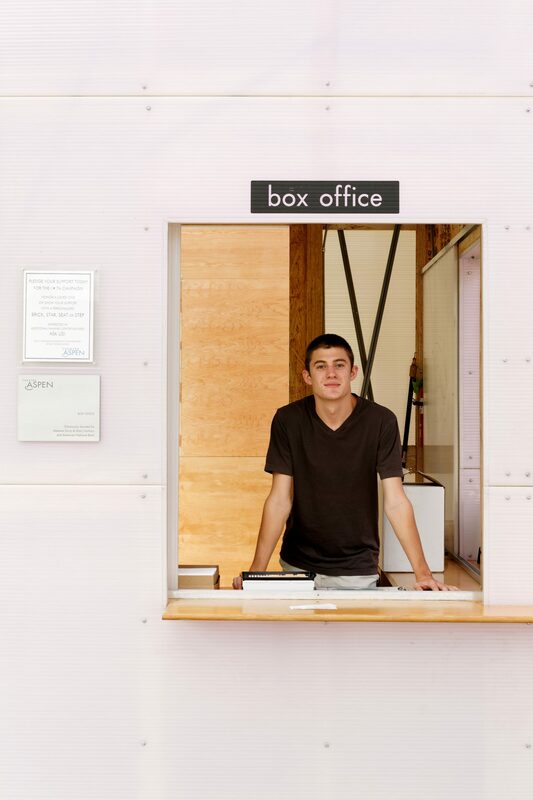 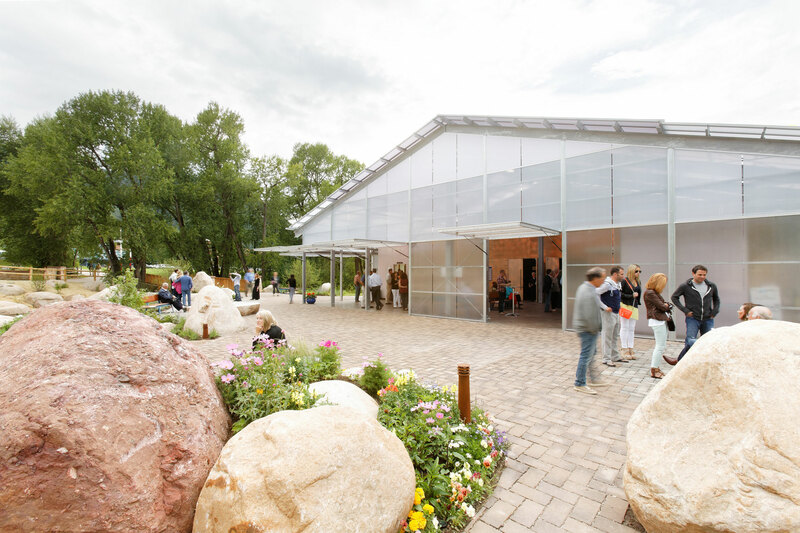 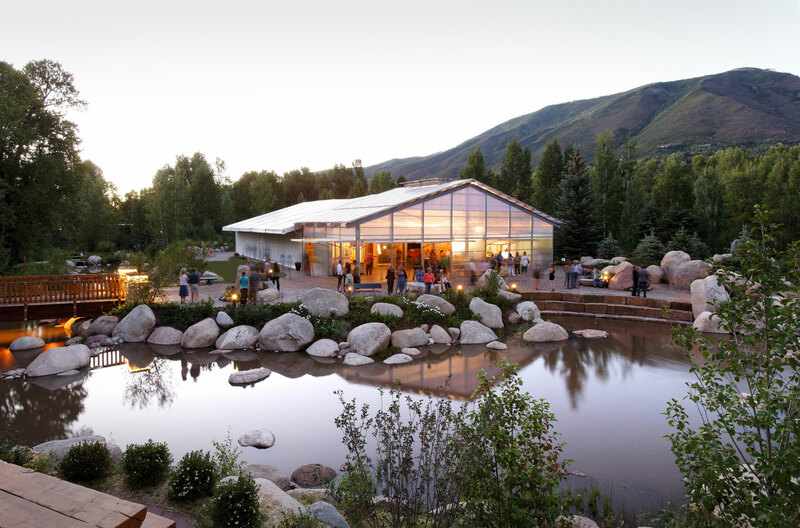 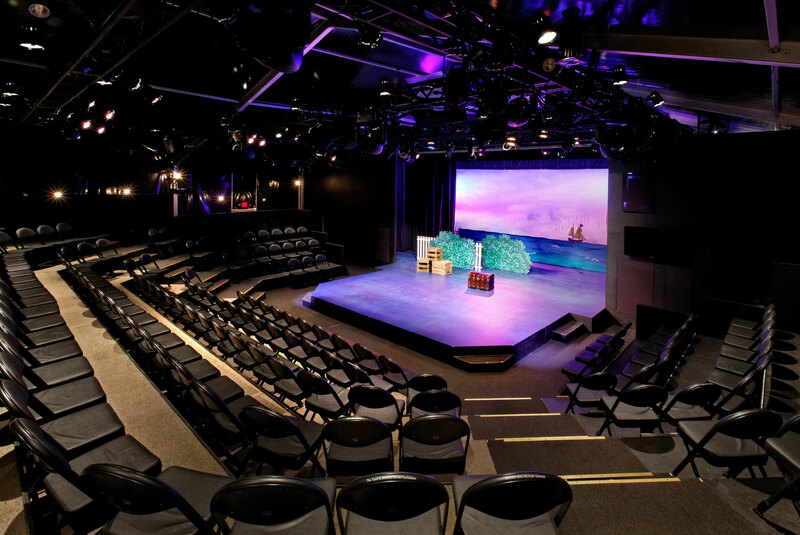 For over 10 years, CCA worked with Theatre Aspen to re-design their tent in Rio Grande Park in downtown Aspen. 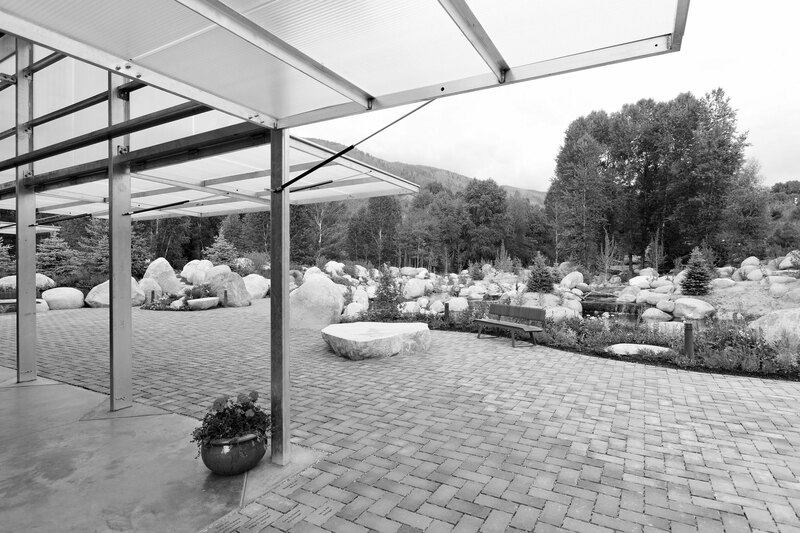 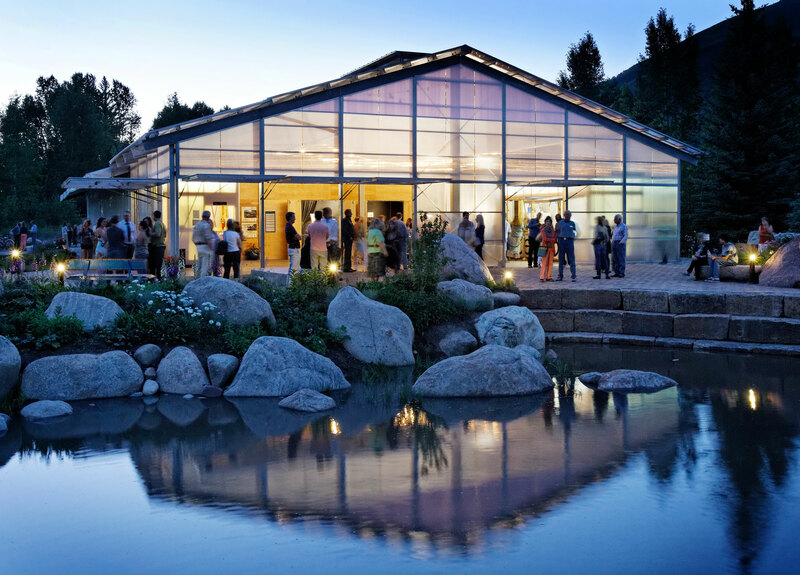 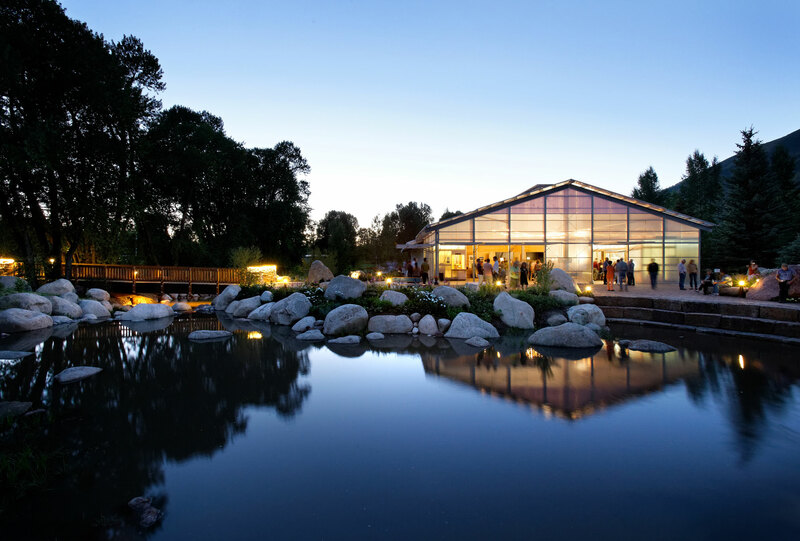 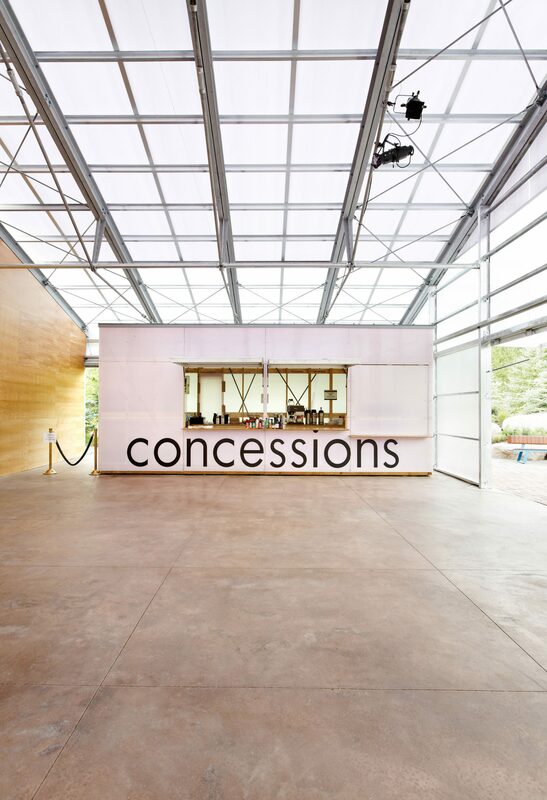 Low sloped gabled rooflines mirror the tent walls establishing an appropriate scale. 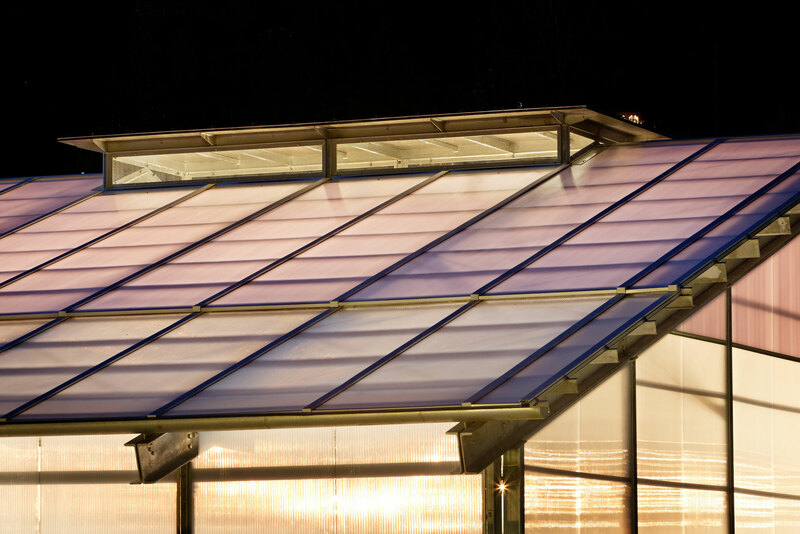 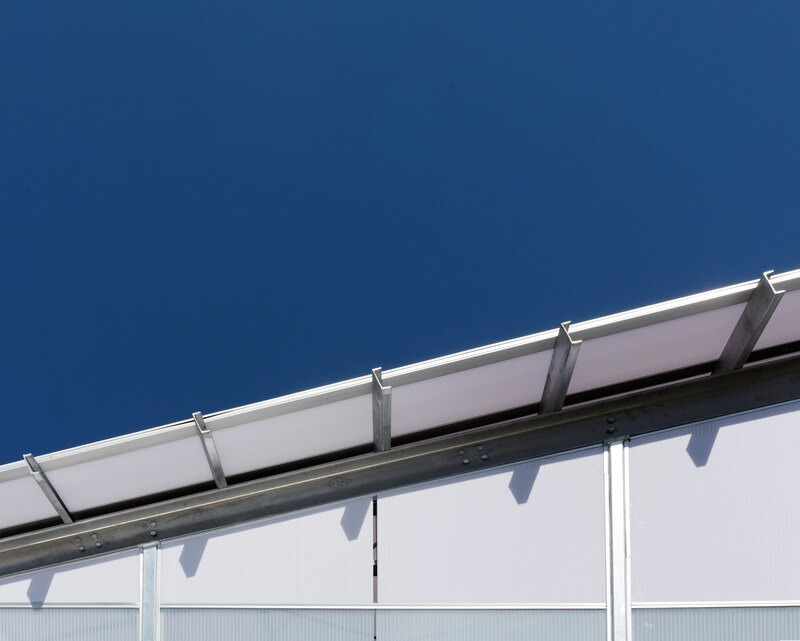 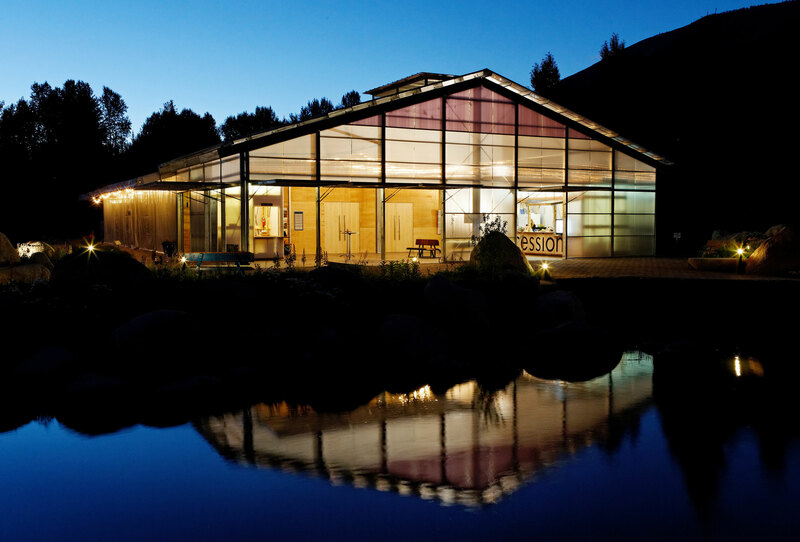 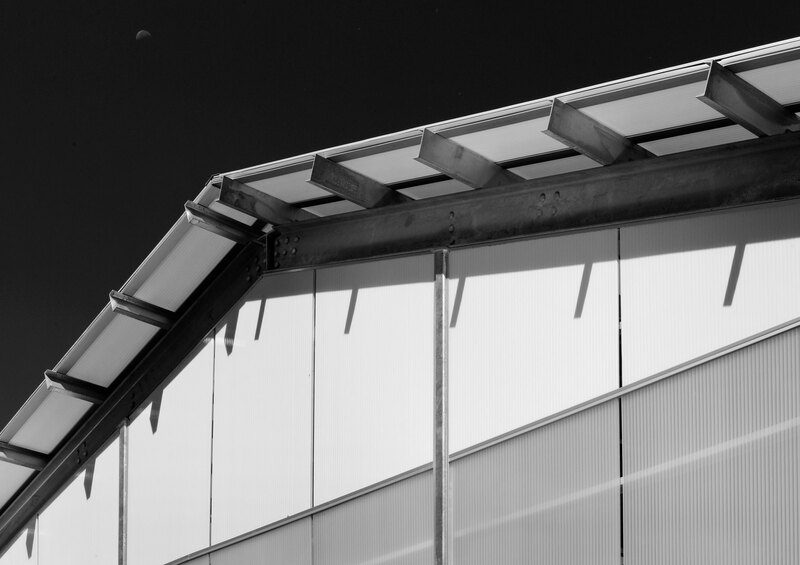 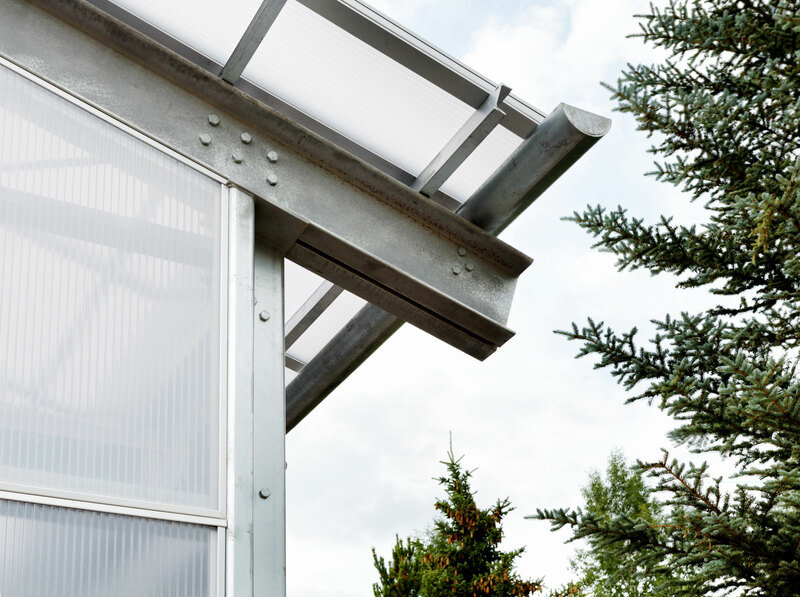 The multi-wall polycarbonate panels fade to clear to minimize glare and potential heat gain. 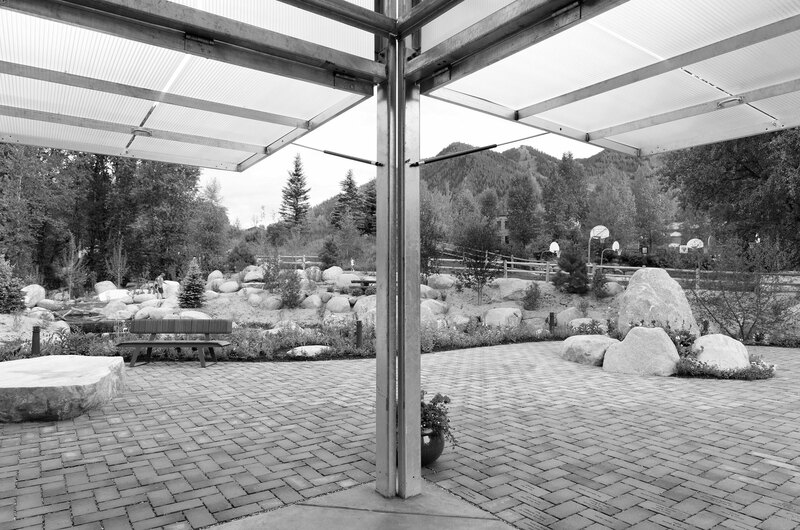 Upward pivoting doors manually lift and remain open with gas springs, opening the lobby completely to the wetland retreat.